When 2nd place feels like a win! 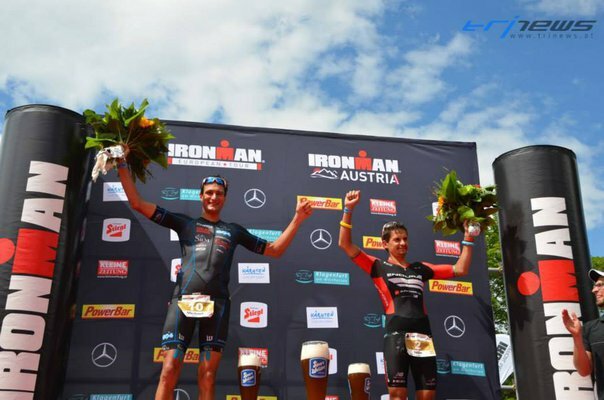 On 28th June 2015, Michi Weiss once again took the podium in 2nd place at his home Ironman in a time of 08:06:59 coming in behind overall race winner, Marino Vanhoenacker who also took his 7th Ironman Austria title. Arguably one of the most iconic events on the Ironman calendar, race day delivered great crowds, perfect weather and the usual super fast splits. 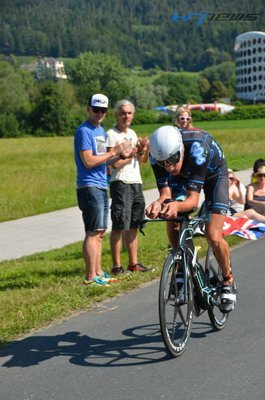 Michi’s bike leg of 04:20:57 was also the 2nd fastest of the day coming right off one of his best ever Ironman swims and preceding a stellar 02:48:18 marathon. 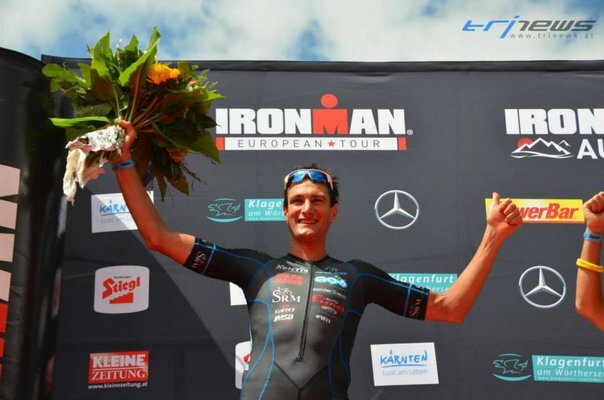 In this article I want to take a look in detail at the SRM power file of an athlete at the top of his game. The bike course consists of two identical 90km loops with three key climbs – Velden, Faaker See and Rupertiberg. The entire 180km parcours includes approximately 1600m of vertical ascent. It is a saw tooth profile and this poses very specific physiological questions of the athletes due to the inability to settle into a steady rhythm for any length of time. As always, doing one’s homework is key to success and for this race Michi scored an A+ ! These numbers represent Michi’s mean maximal race power outputs for each duration. Interestingly, Michi improved in each duration versus last year in the same race, with the exception of the very short durations below one minute. This is probably because his training in the last 3 months had been lighter on high intensity work and heavier on Ironman specific strength work. The result is that he added around 10W at every other duration from 2 minutes onwards. 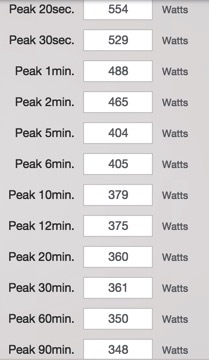 Much more useful for Ironman efforts and a good example of how incorporating intensity in training is important but less so than getting the level of that intensity right in relation to your target event. 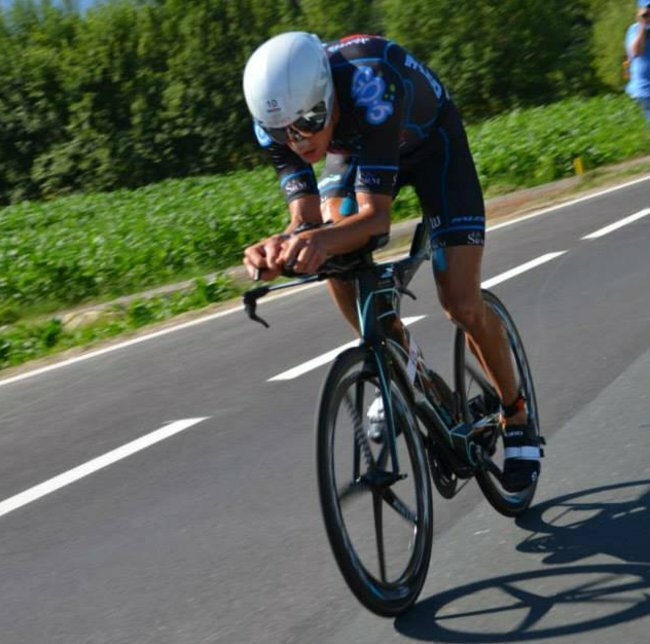 Having built a great bike endurance base in the off season and then going straight into racing three Ironman 70.3 events allowed Michi to dial in a really excellent position and setup on his new Falco superbike and prototype Xentis wheelset. His last training block before this race was about focusing on two key areas essential to high level Ironman performance: Rebuilding Ironman specific bike strength, which we did by including a large volume of relatively low intensity, low cadence and very controlled long climbs of which his training base in Lucca has a multitude. Then, with the specific demands of the IM Austria course in mind, he employed the services of a very skilled scooter rider (Don’t try this at home!) for a series of motorpacing sessions, which we like to call ‘Rhythm Disturbers’. The benefit of these workouts is that they improve the athletes’ ability to maintain race speed and momentum while constantly requiring changes in cadence, watts, position as well as an enormous level of mental focus to do so without incident. They also ‘dirty’ the whole metabolic process as the body can find no natural or steady state rhythm. They are really quite difficult and demanding - Michi loves them! The end result is that the bumps of the Austria bike leg pose no problem. Having exited the water 5 minutes down on the leaders, Michi set about chasing down that front group. This meant that any pre-race plan of riding steady and optimizing metabolic efficiency in order to produce a pretty negative split for my article, was immediately dropped in the litter zone. 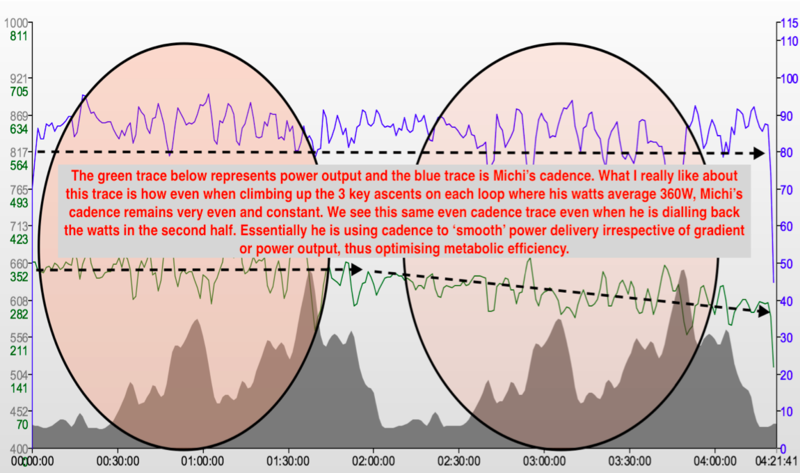 Instead, what ensued was a first 90km loop at close to Ironman 70.3 intensity where Michi averaged a thumping 338W (353W Normalized Power) and an average speed of 42 km/h. It is attention to detail and the incorporation of watt saving chainset preparations such as the Atomic High Performance coating Michi has been using that start to make a difference when the heat is on in these situations, not least psychologically. 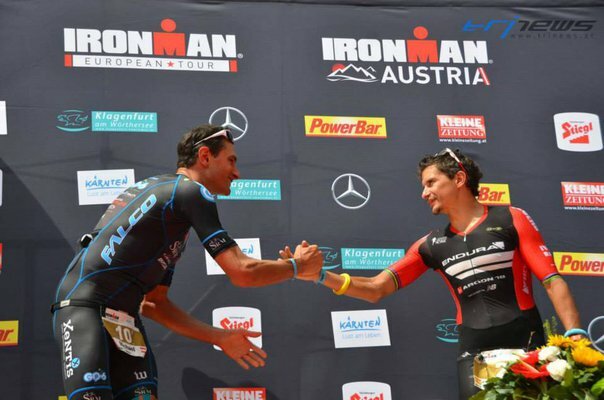 This chasing effort was sufficient to close the gap and then drop the Rana (2014 IM Austria winner) group. 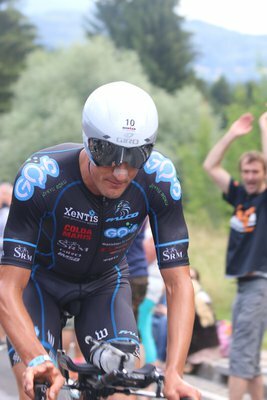 However, even at this intensity and averaging 42 km/h, eventual winner Vanhoenacker, was still putting minutes into Michi so the only course of action was to dial it back, really focus on getting the carbohydrate intake right and simply preserve a gap back to the chasers, which he did perfectly. The goal of every Ironman athlete should be to consume as many carbohydrates during the race as possible without incurring gastrointestinal distress. On the bike Michi managed a new PB is this area averaging 90g CHO/hour up from 85g usually and for this we would like to thank GQ-6 Flooid for making that possible. 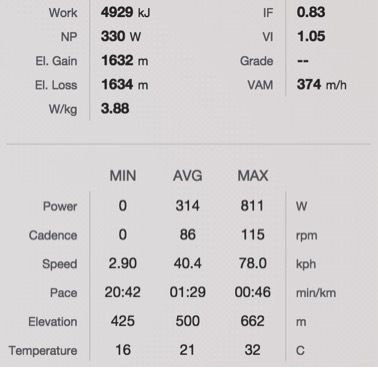 From a pacing perspective, a feature introduced on the new SRM PC8 head unit allows the rider to configure the screen to his liking so in Michi’s case he likes to see his rolling average watts, which at the halfway point were at 338W or 85% of his recently tested critical power and that, he knows, is unlikely to permit a sub 3 hr marathon. And so he dialed it back and subsequently went on to run 2h48m – Ironmen and women are the thinking breed of athlete make no mistake! Hills? What hills. Constant cadence smoothes the way. 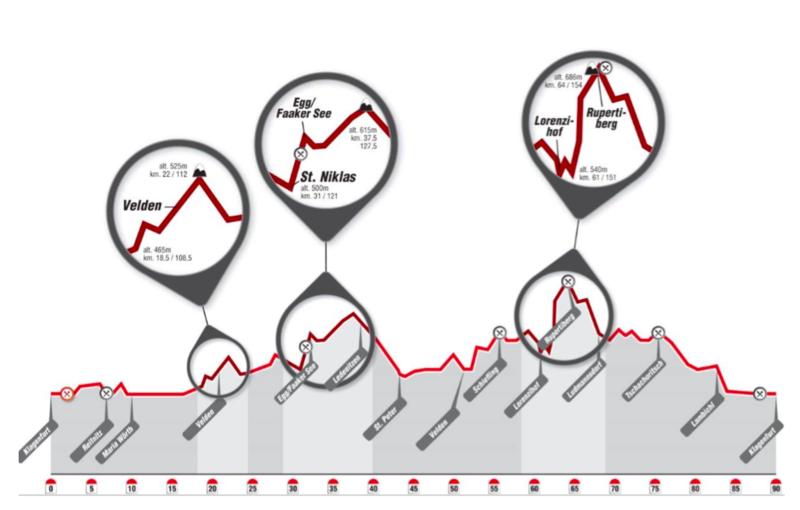 As we can see in the chart below, Michi’s power falls on the second loop by about 13% compared with the first loop. This is something I often see in age group athlete files (hopefully not my athletes!) and in their case is ether representative of an endurance base that is not deep enough to contend with the Ironman distance or they simply went out too hard, easily done if you are not using a power meter to pace correctly. 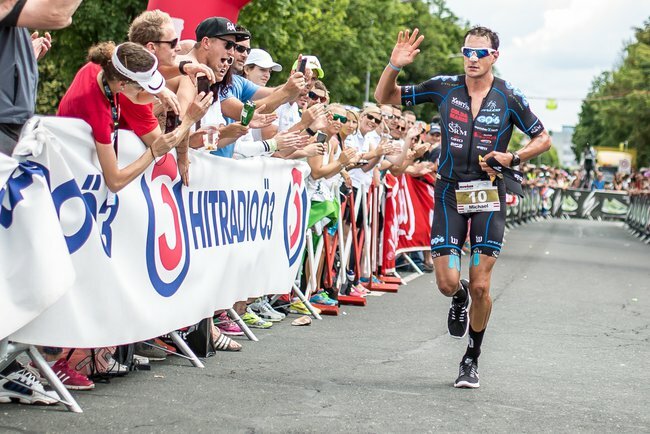 In Michi’s case it was strategic and resulted in a catch and drop followed by one of his finest marathon times in an Ironman, all highlighting just how the race is exactly that at the pro level. 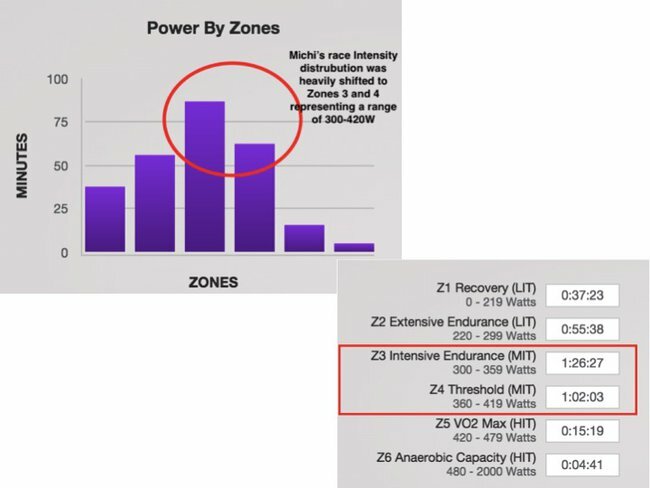 For the highly trained athlete, the Ironman bike leg is essentially a Zone 3 tempo ride whereas for age group athletes it is strictly an endurance ride in Zone 2. 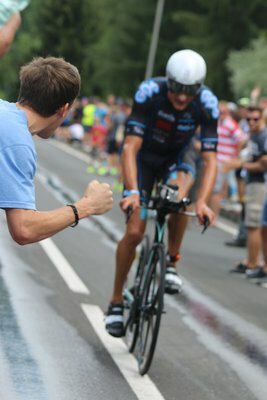 One attribute of the very best triathlon cyclists is the ability to change pace when necessary, whether to catch groups or to drop them, and this often results in a fair amount of accumulated time in Zones 4 and above which, from a metabolic and fueling standpoint is both very risky and requiring of superb bike specific strength. Age group Ironman athletes should not try to replicate this intensity distribution as not only is it unnecessary but will result in a long marathon leg due to carbohydrate fuel reserves having been plundered on the bike. 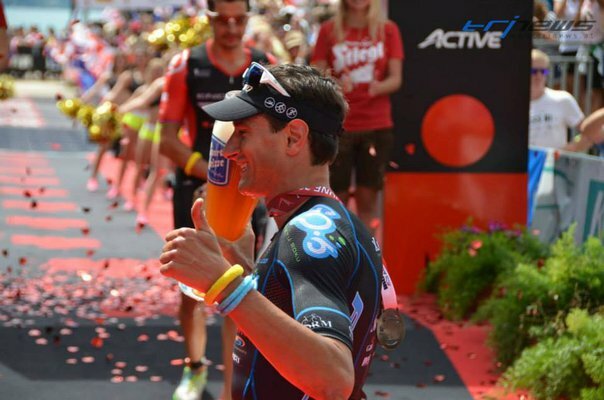 Congratulations to Michi on an outstanding race – making his last two Ironman results a 1st (IM Cozumel) and 2nd place. And as always, I would like to thank him for his ‘wattage transparency’ in allowing me to unpack his power trace and apply my own observations to it, hopefully for the ultimate benefit of SRM users everywhere.